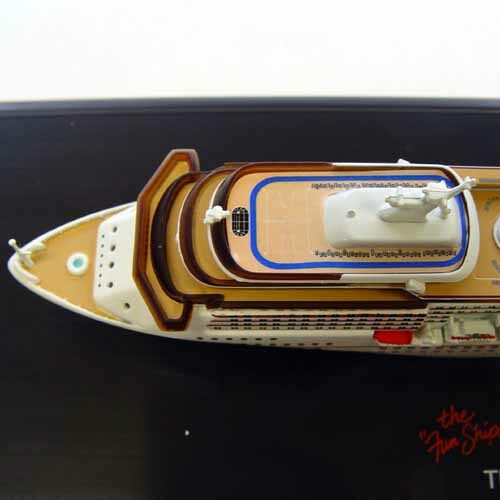 NEW from Dragon Models under the Dragon Waves Line is this 1/1250 Diecast metal Cruise Ship. 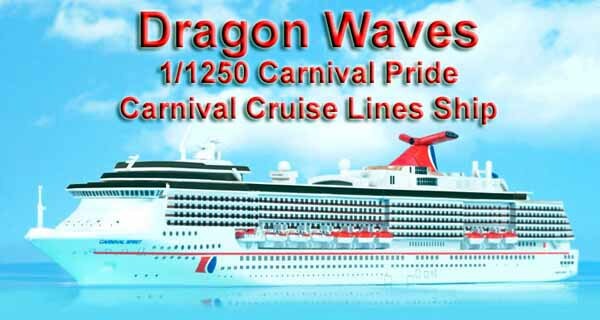 This ship is the Carnival Pride an 88,500 ton Mega liner measuring over 960'. 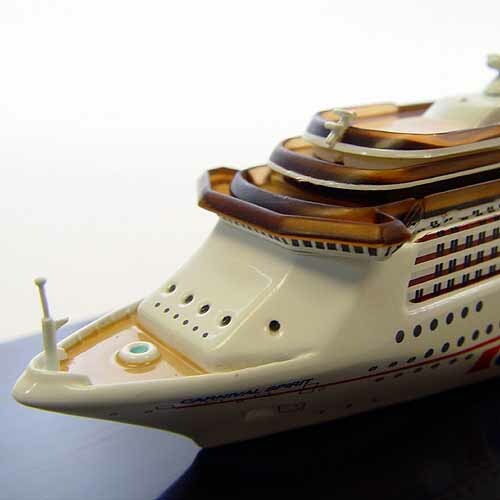 This diecast miniature is looks just like the real ship and is mounted in it's own display case. 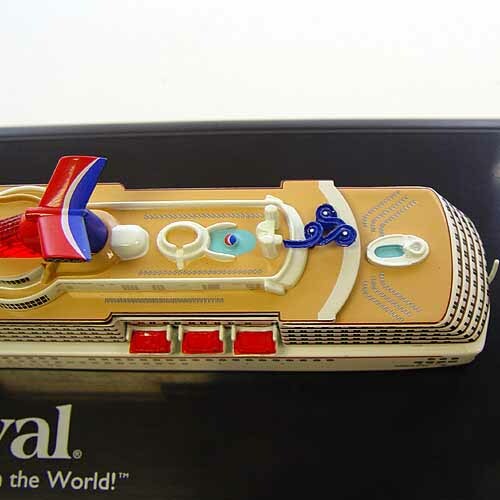 The ship comes pre painted in the Carnival Cruise Lines colors, with all the appropriate markings. The portholes and window on the ship are all painted with crisp markings. 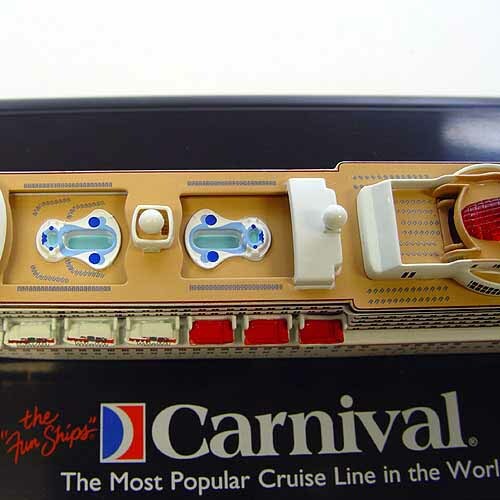 The funnel is in the trade mark red/Blue markings with a clear red skylight at it's base, The deck includes painted pools and a water slide, as well as lounge chairs painted on the deck. 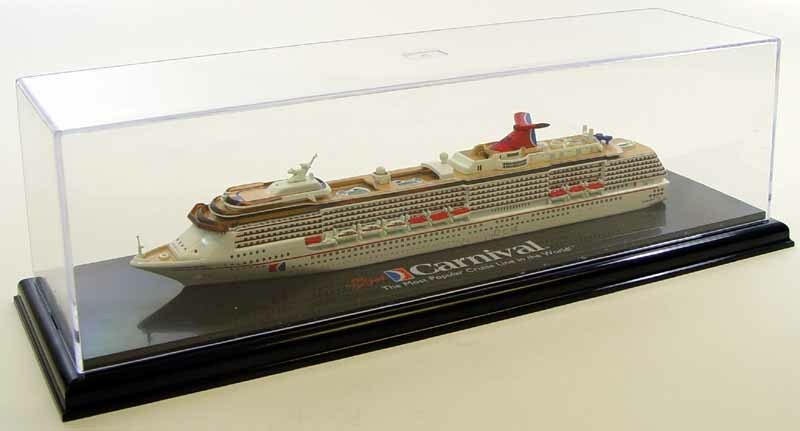 The ship comes mounted to it's own display base with Carnival Nameplate printed in color. A clear plastic cover will keep your ship dust free. 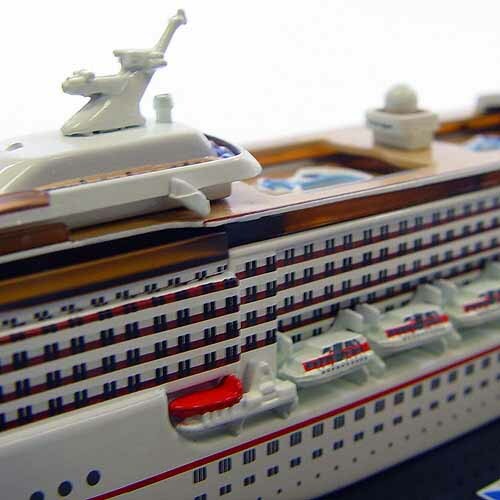 With a retail price of $39.95 this ship is a great value with a price less than half that of comparable diecast miniature ships. 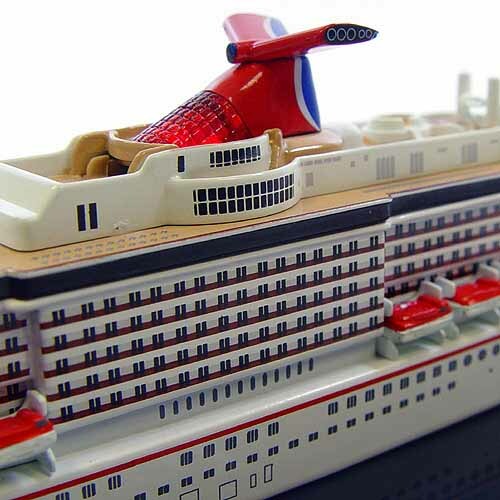 So whether you just returned from a Carnival Cruise or are a collector of Cruise ships this ship is for you. Dragon USA is the exclusive importer for Dragon products, if you are a hobby shop owner check their website for ordering details. A list of retailers that sell this kit can also be found there.